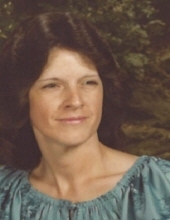 Janet Diane (Botkin) Nance, 69, wife of Jerry Thomas Nance of 1906 Spring Hill Road, passed away Saturday, October 27, 2018 in Augusta Health in Fishersville. Mrs. Nance was born on June 21, 1949 in Rockingham County, a daughter of the late Loyd Fleisher and Ressie (Puffenbarger) Botkin. Janet was a member of Victory Worship Center, she enjoyed camping with her husband, cooking and spending time at her home in Florida. Surviving in addition to her husband of 42 years are two daughters, Paula Lawson and her husband Fred of Punta Gorda, Florida and Christine McLaughlin and her husband Eric of Lyndhurst; a step-son, Jerry Douglas Nance and his wife Patricia of Deerfield; a brother, Stanley Botkin of Harrisonburg; three sisters, Frances Lerdahl and her husband Bob of Madison, Wisconsin, Myrtle Washington of Sugar Grove, West Virginia, and Kitty Coffey and her husband William of Stuarts Draft; and six grandchildren. The family will receive friends from 6:00-8:00 p.m. Tuesday, October 30, 2018 in the Coffman Funeral Home and Crematory. A celebration of life will be conducted 2:00 Wednesday, October 31, 2018 in the Coffman Funeral Home Chapel by Pastor Ray Eppard. Burial will follow in the Oaklawn Memory Gardens. It is suggested those desiring make memorial contributions to the Victory Worship Center, 200 Hammond Lane, Staunton, Virginia 24401. To send flowers or a remembrance gift to the family of Janet Diane (Botkin) Nance, please visit our Tribute Store. "Email Address" would like to share the life celebration of Janet Diane (Botkin) Nance. Click on the "link" to go to share a favorite memory or leave a condolence message for the family.